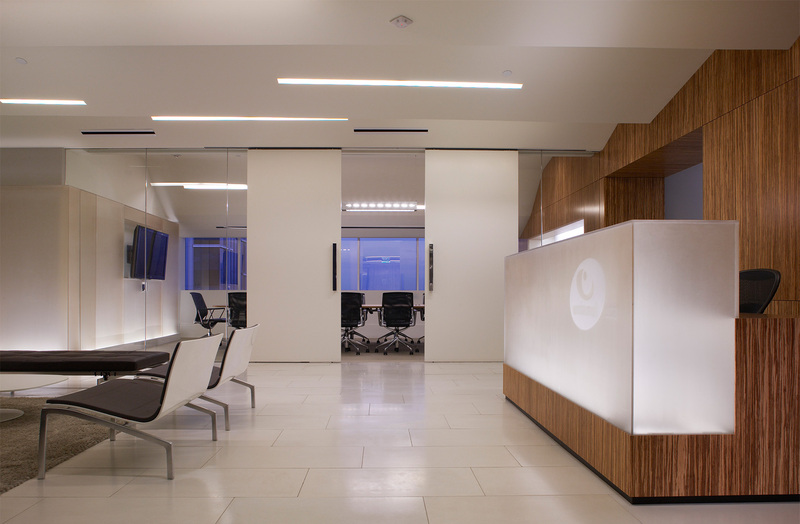 Lewis/Schoeplein designed the new headquarters for Endemol USA, a highly successful television production company originally based in the Netherlands. 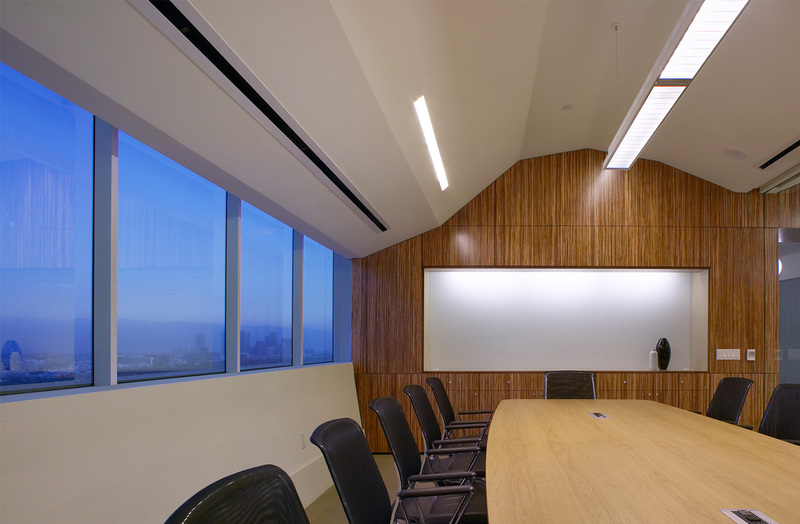 The offices, located on the 11th floor of a West Hollywood tower, bring different groups of the international company together with one unifying identity. The plan is closed-office environment, which seeks to emphasize the public circulation as a means of fostering company synergy. Branding for the space begins in the elevator lobby and continues through the public areas. 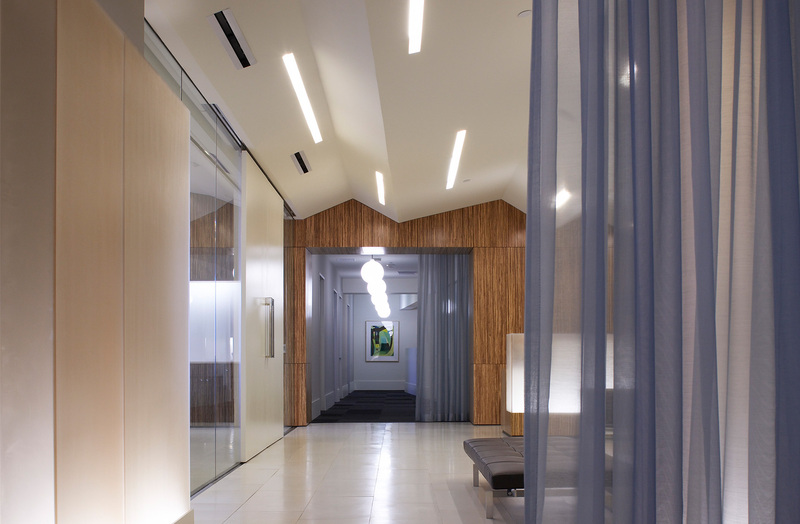 Private offices are tied to the overall aesthetic and tailored to the individual requirements of their occupants. 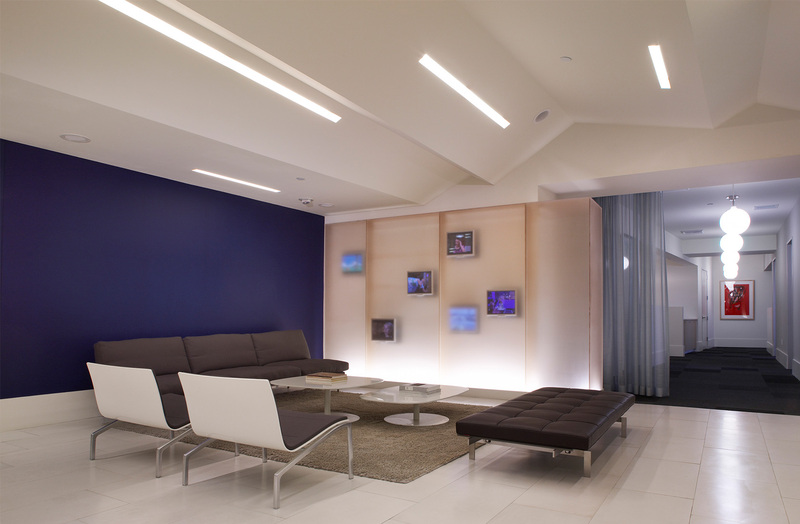 In the public spaces internally lit translucent walls are used to emphasize the dramatic nature of the company’s work in television. Behind the panels embedded monitors show muddled images representing ideas for future programs. Eco-friendly materials are used throughout, reflecting the client’s interest in playing a positive role in the global community.